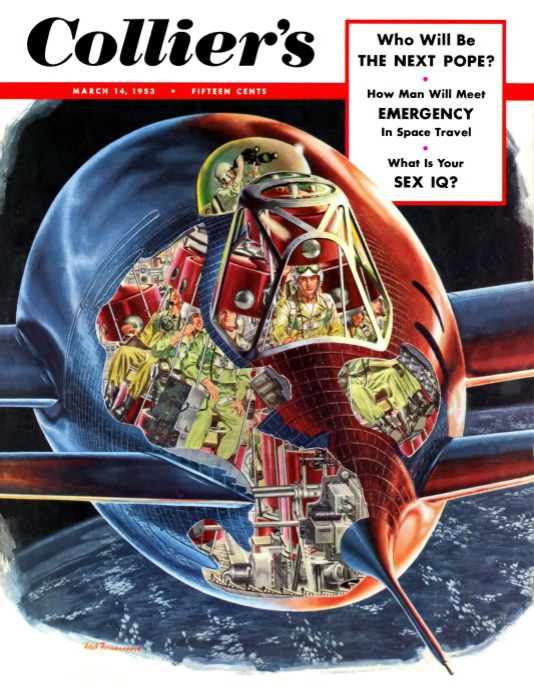 From March 22, 1952, to April 30, 1954, Collier’s magazine published a series of articles that predicted some aspects of the future with uncanny accuracy. 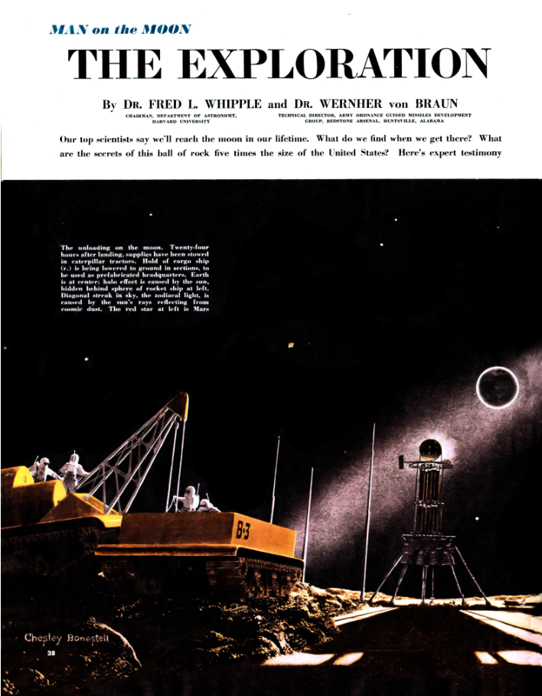 The articles came out in eight installments, written by members of a panel of experts (Wernher von Braun, Fred L. Whipple, Joseph Kaplan, Heinz Haber and Willy Ley) brought together to discuss space realistically and to offer a blueprint for space exploration. 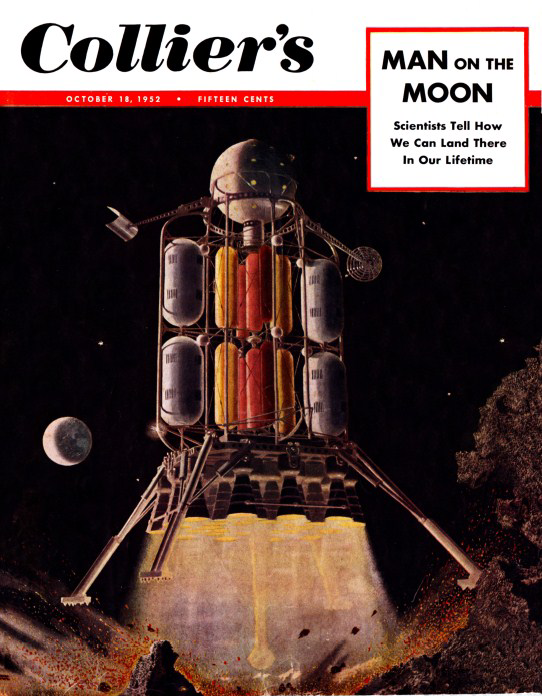 Von Braun’s articles provided factual, detailed descriptions of spaceships and launch vehicles, based on work he had already done and was currently doing at the Redstone Arsenal in Huntsville. 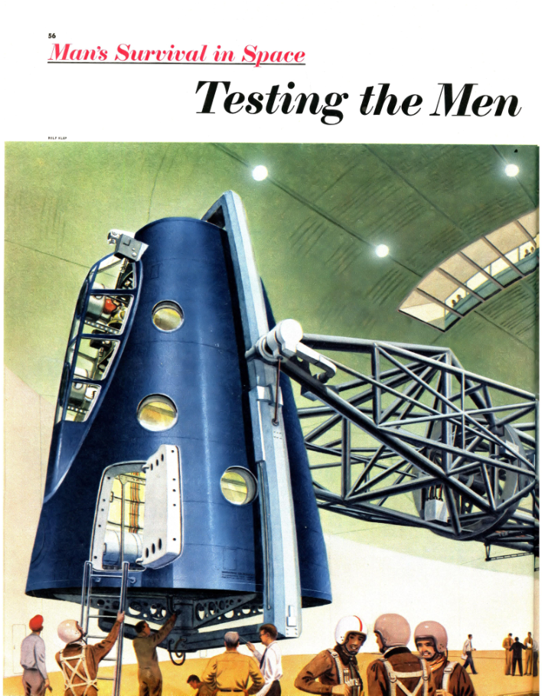 Images were provided by Chesley Bonestell, Fred Freeman and Rolf Klep. 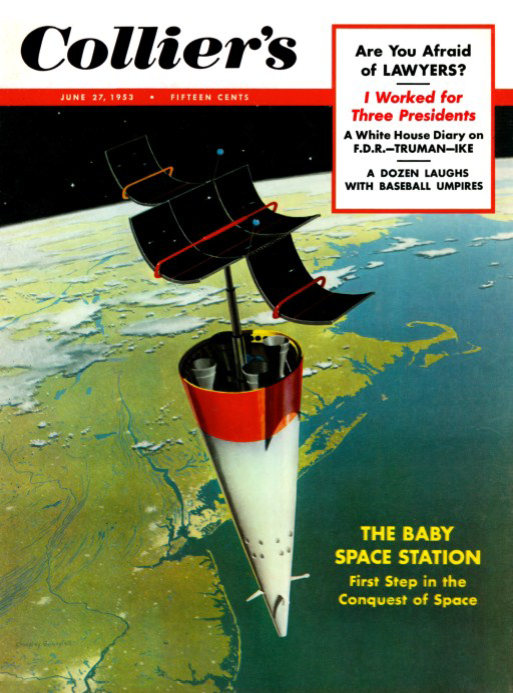 Scans of issues of Collier's magazine (years 1926-1957) are available on unz.org. 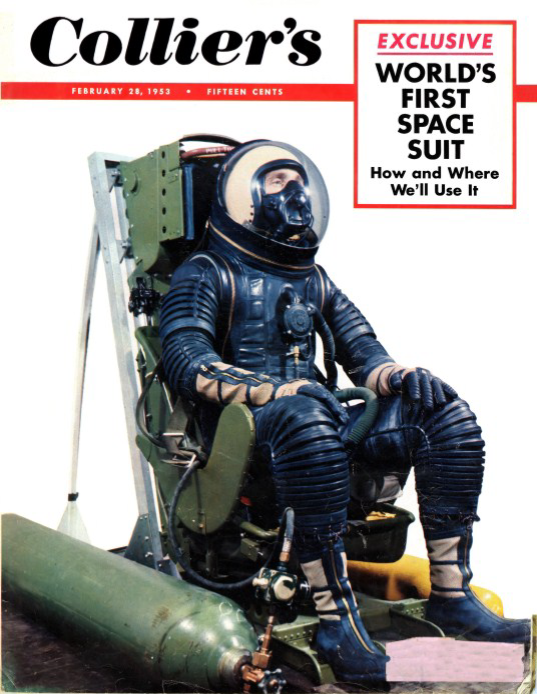 Recently (2012-2013) AIAA Houston newsletter ("Horizons") published a restored reprint of articles on space conquest. 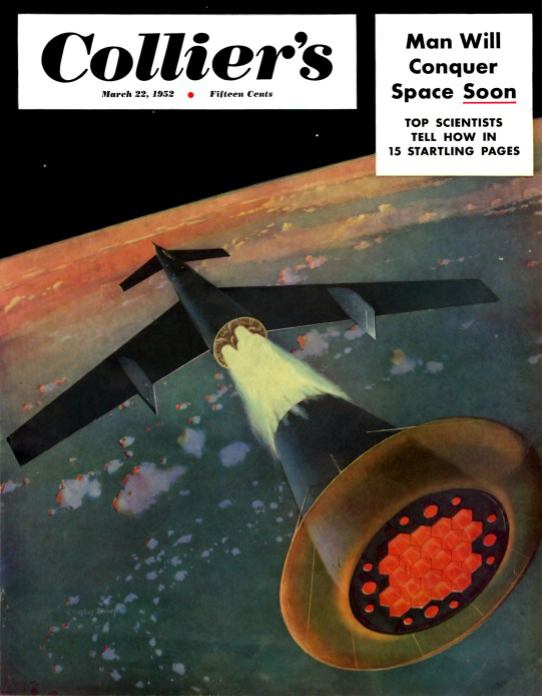 March 22, 1952 - Man Will Conquer Space Soon! 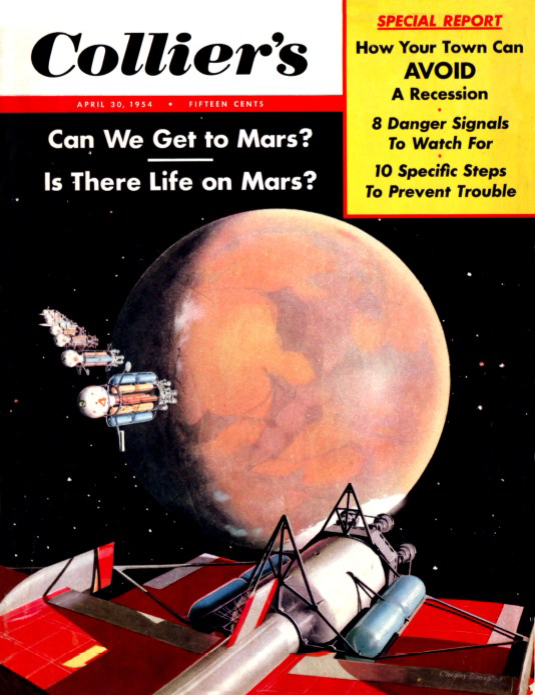 April 30, 1954 - Can We Get to Mars? / Is There Life on Mars?